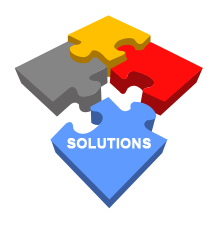 Online WorkFlow Solutions | Web Development | Website Development | Batish Technologies Pvt. Ltd. Online Workflow Solutions – Batish Technologies Pvt. Ltd.
Online workflow solutions are web applications which automate one or more workflow in the organization. This is usually a web application running on the intranet or extranet allowing various users from same or multiple departments to contribute to the various stages of the workflow. The main aim is to automate a process to the extent possible and thus achieve maximum proficiency. Some workflow may be such that require input from external users like vendors or suppliers. More often then not these are customized solutions for a specific organization keeping in mind the specific requirements of the organization. Such solutions frequently interconnect with other systems or applications to fetch or input data. This is most powerful feature to integrate data from other applications or data stores and present a consolidated view for the user to select or use in the workflow. Automatic updation of various data store not only provides data consistency but also saves precious time for the employees who otherwise would have to manually update each system. With our extensive experience developing such systems from scratch, we can help devising efficient systems for your organization. Batish Technologies, provides complete Online Workflow Solutions to its clients across the globe.